I love an easy-to-do hairstyle and seeing elegant everyday hair styles which are wedding worthy are enough to turn a simple outfit into a gorgeous one. We’re loving these chic and pinned looks which are super easy to do at home. The best thing about them is they can also be worked into straight or curled hairstyles for effortless glam. 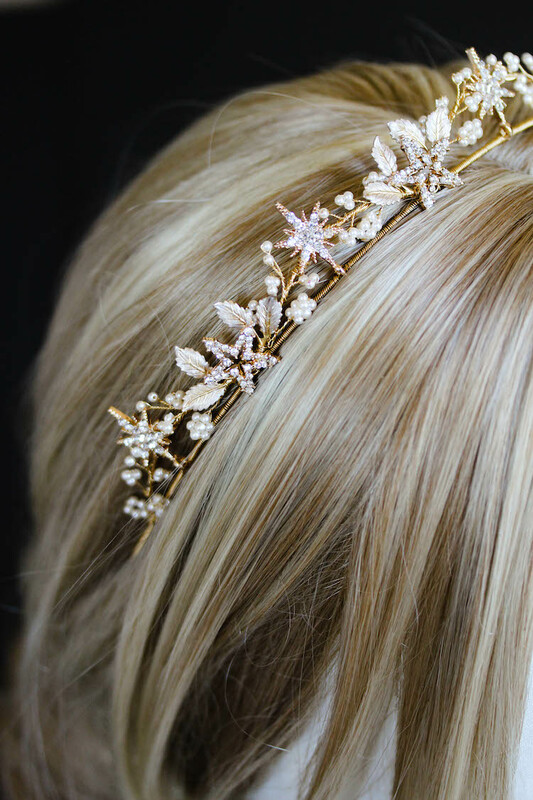 These styles are perfect for brides looking for a hairstyle that is simple yet still red carpet (and wedding aisle) worthy. Planning a destination wedding? Or on a tight budget? These hairstyles can be easily replicated at home relatively stress free. But, if you’re feeling nervous about doing your own hair on the biggest day of your life, enlist the help of your bridesmaids and be sure to practise a few times before the big day. Nothing brings together your maidens like a few bottle of champagne, curling tongs and an evening of DIY glamour. If simple bobby pins or hair pins make you think of your elderly Aunt or dear grandmother, you will love all the sweet and chic bobby pins you can find nowadays floating around the web. They have made a huge resurgence – and with any comeback – they are better than ever. We are talking more embellished and available in more colours, styles and sizes than ever before. It’s amazing how much you can achieve with a few twists, tucks and pins. And the best bit, all in a few minutes! Perfect for those special events where you just want a simple but fresh hairstyle which won’t cost the earth to have created for you or take you hours to do yourself.